No matter if you are a Londoner or just visiting, but if you consider yourself a wine lover you will most likely have at least heard of Hedonism Wines. Located in the heart of Mayfair, the most impressive wine shop I’ve been to so far and practically a museum for wine-gurus and geeks, Hedonism Wines is also a venue for various tasting events, sometimes with the winemakers themselves as hosts. But now to the wines tasted on the night. 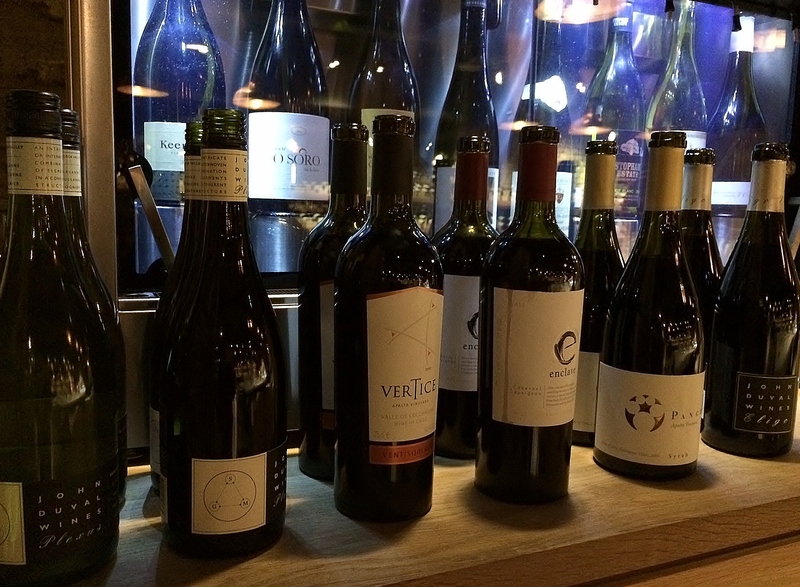 The two Plexus wines as well as the Eligo are John Duval’s own label wines; Vertice, Enclave and Pangea are products of John’s creative cooperation with Felipe Tosso of Ventisquero winery in Chile. 2012 Plexus White Barossa Valley: Marsanne 55%, Roussanne 35%, Viognier 10%; price: £ 15-25. Pale lemon, pronounced intensity, med bodied, med acidity, minerality, rich texture. Pronounced oak notes, citrus (lemon peel, grapefruit), stonefruit. Med+ finish. 2012 Plexus Red Barossa Valley: Shiraz 51%, Grenache 30%, Mourvedre 19%, price: £ 17-26. Deep ruby, med- intensity, med acidity, tannins still integrating; black fruit (blackberry, cassis), dark bitter chocolate. 2010 Vertice Vina Ventisquero, Apalta, Chile: 51% Carmenere, 49% Syrah, price: ~ £ 25. Deep ruby colour, red and black berries, pepper, hint of vanilla, leafy, earthy, savoury wine with medium acidity levels. 2010 Enclave Vina Ventisquero, Pirque, Maipo Alto: 86% Cabernet Sauvignon, 7% Petit Verdot, 5% Carménère, 2% Cabernet Franc, price: on request. Deep garnet, plums, cherries, cassis and vanilla notes, firm tannins and medium+ finish. 2009 Pangea Vina Ventisquero, Apalta, Chile: 100% Syrah, price £ 19-35. Deep ruby, med- acidity levels, soft ripe tannins, black fruit, black pepper and sweet spice. Great with BBQ or game. 2009 Eligo Barossa Valley: 100% Shiraz, price £ 38-66. Deep ruby with black fruit and dark chocolate, pronounced intensity and long finish. Could age for another 15-20 years. For more varietal fruit character recommended drinking window would be in ca. 5 years (2019-2020). This wine was my personal favorite of the evening. FOOD PAIRING: all of the above wines are very food friendly and pair wonderfully with meat dishes: e.g. BBQ, game, juicy steaks, rich casseroles, etc. 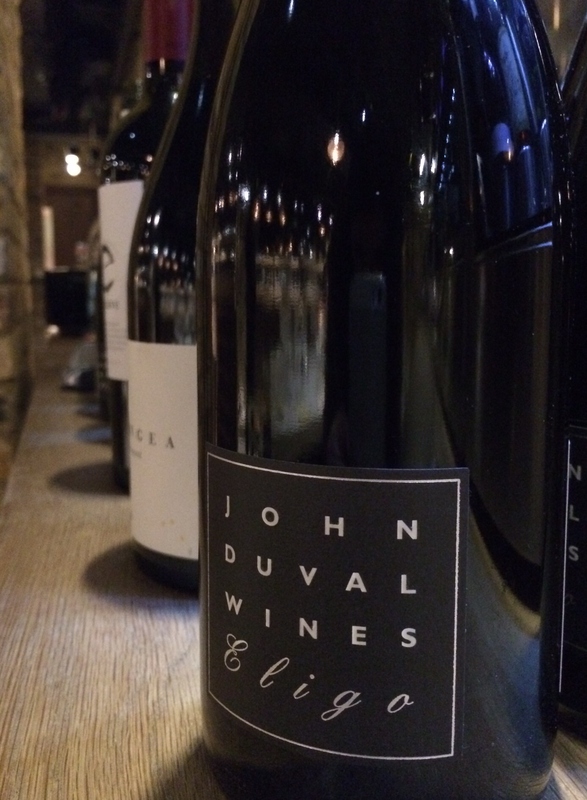 As I’ve already mentioned John Duval wines have won a number of international awards including Decanter World Wine Awards and International Wine Challenge medals. For more information and details on this fantastic range please check John Duvals website. If you are interested in purchasing any of the above wines please get in touch and I will be happy to help you source them. TRAVEL TIP: If you ever plan a wine themed trip to Australia, John recommends Adelaide as the best hub for visiting Clare, Eden and Barossa valleys. A must-visit is Artisans of Barossa tasting room, which holds tasting events with Barossa’s seven like minded producers (incl. John Duval) aiming to showcase and celebrate the quality, soul and tradition of the region.